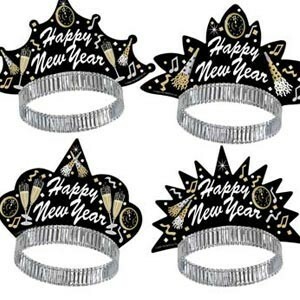 New Years black tiara. Assorted designs only. One size fits most.